Sparkle and shine wearing this Medusa Ring from Versace®. Medusa head silhouette at the center. Product measurements were taken using size 23 (US 9). Please note that measurements may vary by size. 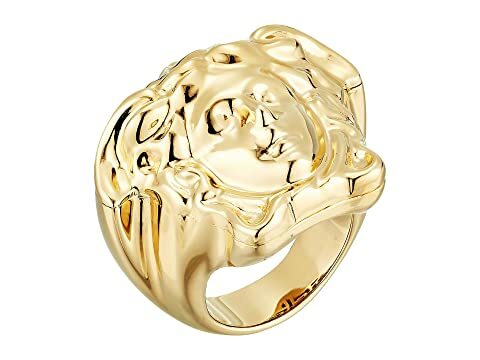 We can't currently find any similar items for the Medusa Ring by Versace. Sorry!